Lightweight 8 lb. chair easy for carrying for long distances with comfortable backpack straps. Durable yet breathable fabric wicks away moisture quickly. Large storage pouch with velcro clasp holds items securely throughout the chair's use. A number of vibrant color options available make the chair unique to the user. Zero gravity suspended fabric body conforms to all body types and gently supports tender muscles, joints, and the spine. Body fabric may tear at the edges after repeated use. Entire unit is heavy and more difficult for travel. 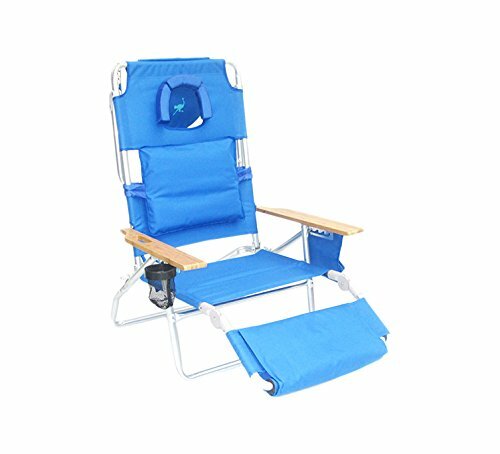 This is the summary of consumer reviews for Rio Beach Lace-Up Suspension Folding Backpack Beach Chair. The BoolPool rating for this product is Very Good, with 4.30 stars, and the price range is $48.00-$49.00. 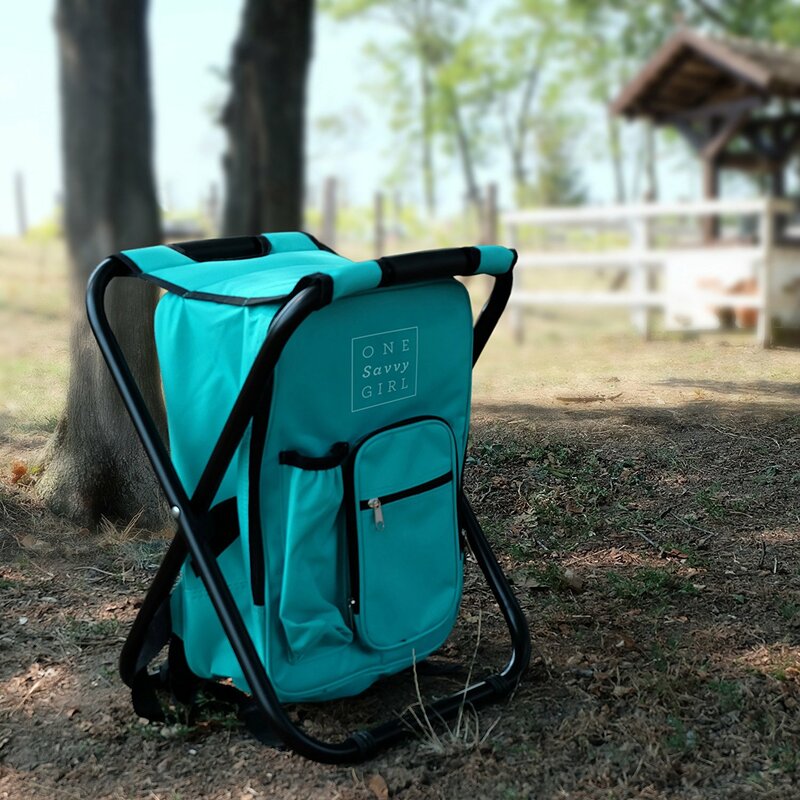 If you are looking for the ultimate beach or poolside chair that is both affordable and ultra-durable, you have found it here in the Rio Beach Lace-Up Suspension Folding Backpack Beach Chair. 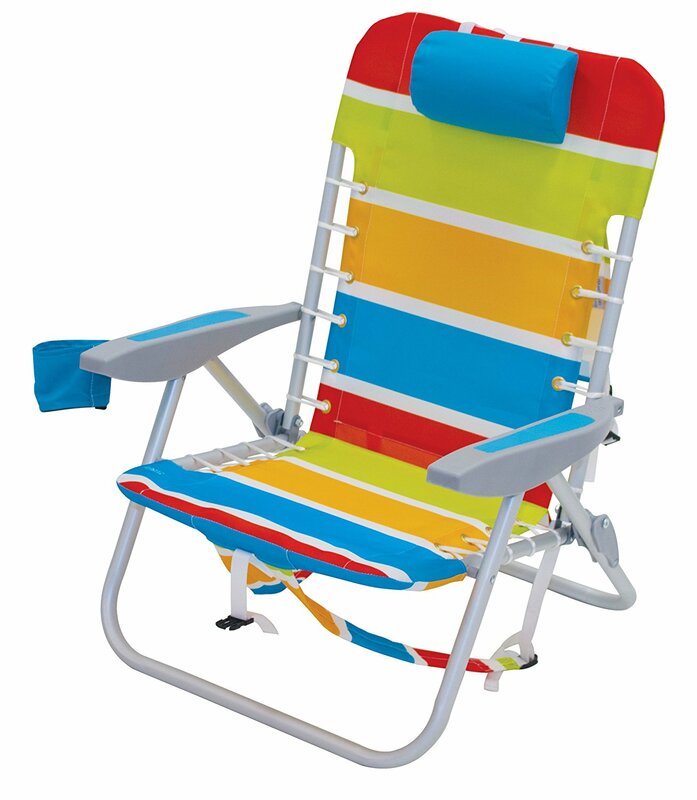 This chair has every feature one could desire in an easy grab-and-go seat, including soft backpack straps that make transporting it simple and comfortable, a number of adjustable reclining positions so the individual can choose their favorite position, and even a large velcro pocket that customers say holds everything from towels, to sunscreen, drinks, books, and more. 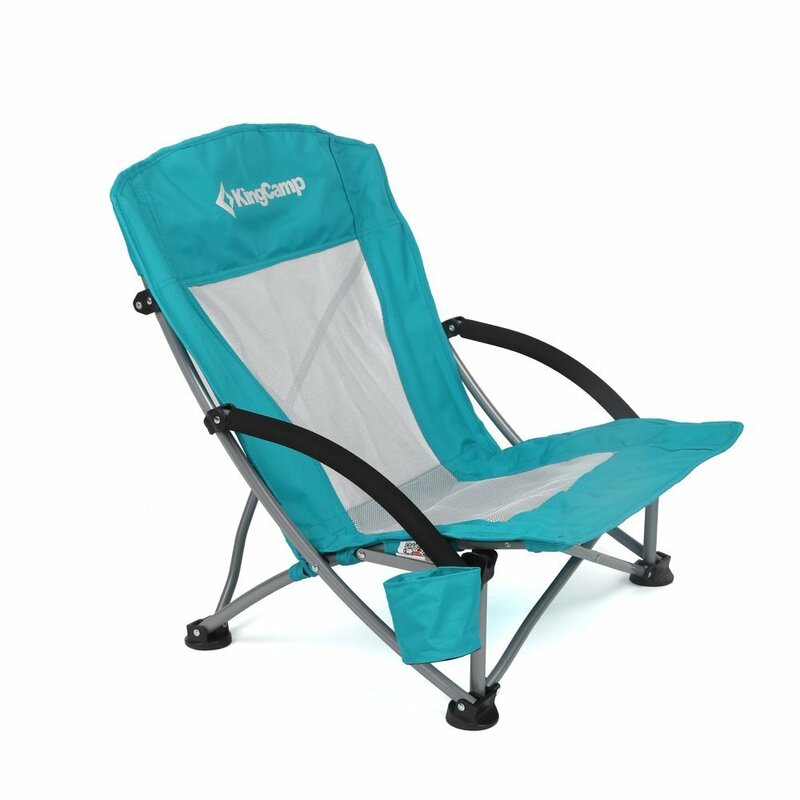 This chair features a unique zero gravity suspension feature that makes lounging in a portable seat more comfortable than ever before. Tight but forgiving elastic bands hold the comfortable fabric backing in place while also giving gently into the curves of the human body. Those looking for a chair that does not make an individual sore after a few hours should give the Rio a try. 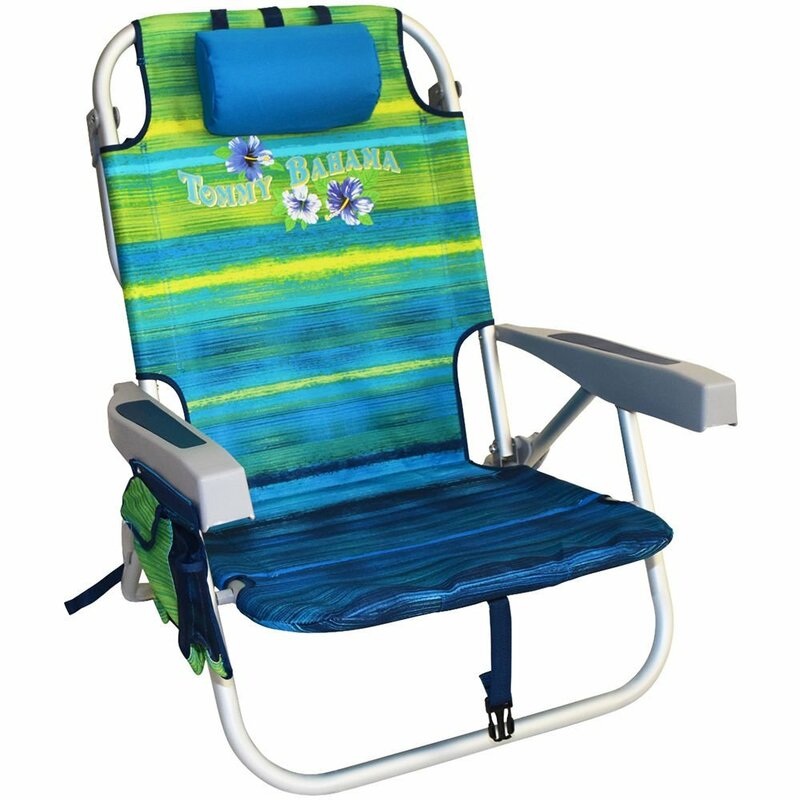 The chair has a number of very vibrant colors to choose from, making it a perfect summer accessory, and the fabric quickly wicks away moisture, even if you sit down fresh out of the pool. The chair is able to fit adults and children alike and can sustain weights of up to 240 lbs. safely and comfortably. 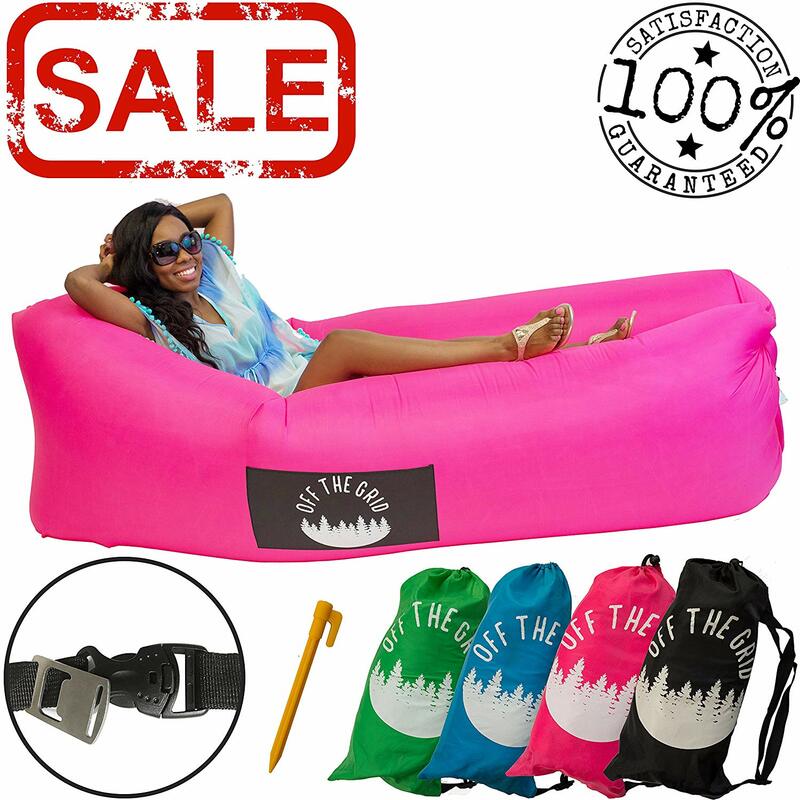 It even has a large pillow for the ultimate relaxation experience! Some complain that the polyester cup holder provided is not sturdy enough to hold some drinks, and even too small for some containers. Others wish the velcro pocket was water resistant so electronic devices were better protected. But besides a few downfalls in the product, the majority of reviewers believe that there is no better item on the market at such a great price. Very surprised at the quality for the money, great beach chair, well made, worth every penny. Good quality for kids or lighter adults. 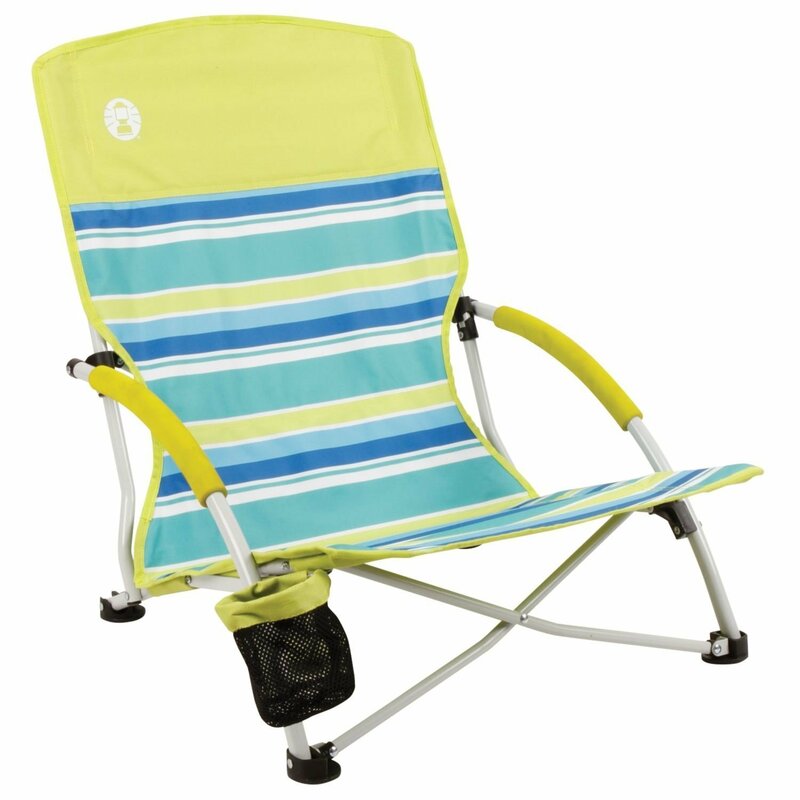 This chair has been a great beach chair love the backpack feature. Got these for a music festival and they'll be perfect! Perfect for surf fishing with room in the pocket to haul stuff. Gift for my daughter, she loves in and will put it to good use!!. very surprised at the quality for the money, great beach chair well made worth every penny. I like the support legs, on upper back, and headrest. Descent chair, good quality and like the back pack straps and head pad. Has a sweet little back pack portion for snacks, and a cooler portion for wine.I mean water. This's a GREAT chair for the price. 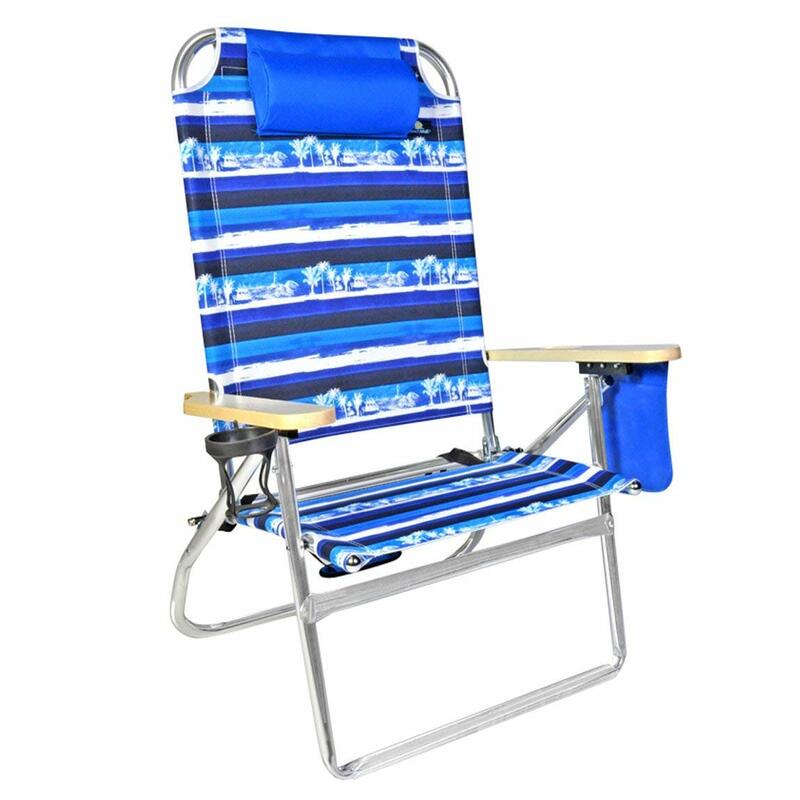 Couple reasons it didnt get 5 stars: The way you fold them down requires laying the chair in the sand & pulling bottoms of legs together meaning it's really difficult not to get sand in the pocket & all over yourself just as your going in for the day. Like support legs on upper back and heat rest. Loved the pocket on the back for storing things. Also would be great if pocket was waterproof or at least closed more securely. The secured back pocket held a towel, a, phone, a paper book, a water bottle, and sunscreen. Gift for our friends that got married and they loved them!. A friend had two that we used when we visited them and we loved it, so we bought two for our selves. I throw it on my back and ride to the river to read my book in the water after work. The secured back pocket held a towel, a, phone, a paper book, a water bottle, and sun screen. I could see it being handy for a day trip with the large pouch and backpack straps too. The shoulder straps are adjustable and I was also able to put a small "boogy board" in between the seat and the back. The colors are way more vivid in person which I love. I love the fact that it's backpack straps and extra storage to carry or store things. I really like this chair. I bought this chair for my husband, and he loves it. This chair is awesome for the price! It's a pillow and reclines nicely! It's been a very nice addition to the family outings. I can't wait to use it at the beach in a week!. Loved the reclined positions and the neck pillow as well! Love the material, seat adjustment and carrying handle.. Loved the reclined positions and the neck pillow as well!. loved the strap to carry it!. Like the adjustable height pillow as well. Was a bit of a hike to the beach and this backpack pouch held towels, books, suntan lotion and even my big blanket in the fold up part of chair! Love that you can carry it on your back and free up your hands for other stuff. Its sturdy, turns into a backpack to carry it and has a pouch to put stuff in!, but . . . So much room to fit towels, lotions, a book, drink and any other accessories you may need. Buy thus, just dont count on being sble to fold it back up. Super comfy, light, compact.... it's really nice. Neck rest is a nice feature and adjustable. Will update review about the quality and all after uaing them. The light blue is very vibrant and perfect for summer. Bright colors, good quality, fast shipping, good packaging. Very sturdy and well made!. We got two of the same color (blue) but one is lighter color than the other. It hasn't been used yet, however, it appears to be well built and is light weight. The only problem is that it's very hard to close (fold) as other reviewers had mentioned. My husband on the other hand doesn't feel it. They were sturdy and reclined back far enough to be comfortable. Sturdy, well made, and comfortable. They're relatively lightweight and comfortable. We've only used them about 5 times this year, but they're comfortable, lightweight, easy to carry. The armrest is wide enough to be comfortable and has a drink holder. Light and easy to carry around or store away. They fold up easily so I'm not sure about previous reviews. I gave it a 4 start because the cup holder is small, doesn't really hold a drink well and the bottom of the cup holder is starting to fray a bit (why, I'm not sure because we didn't really use them). Chair is comfortable and gives nice back support. Easy to use and easy to carry, sturdy enough for a large man, perfect for beach, lake, hiking, sideline, tailgating ,etc. Comes complete with a velcro inside pocket perfect for storing keys and phones. Sturdy, easy to open and extremely comfortable. Nice for a low chair, comfortable, easy to carry. Well made and easy to fold up. We love them, very comfortable, durable, easy to carry and clean. Super comfortable, easy to use chair for an amazing price! Hard to close but very comfortable and easy to carry. very beautiful and comfortable, with a headrest, lightweight and easy to carry. 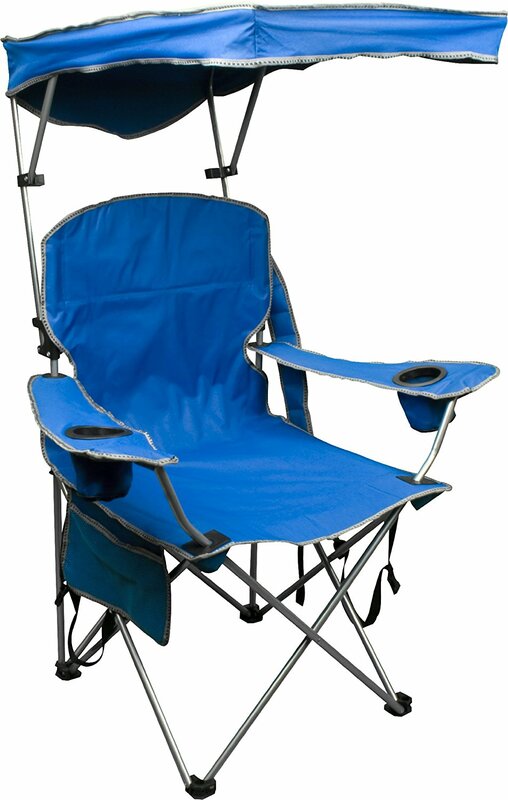 Easy to use and easy to carry, sturdy enough for a large man, perfect for beach, lake, hiking, sideline, tailgating,etc. Comes complete with a velcro inside pocket perfect for storing keys and phones. Easy to get out of..